About the same size as an issue of TIME, and at its thickest point still thinner than a paperback, the MM20 is a waif in spite of its 10.4-in. XGA LCD screen. It’s the first PC sold in the U.S. to sport Transmeta’s new Efficeon chip, a 1GHz processor that can handle the essentials of a Windows XP environment without need for a fan to cool it down. Plus, there’s a 20GB hard drive and 512 MB of RAM. 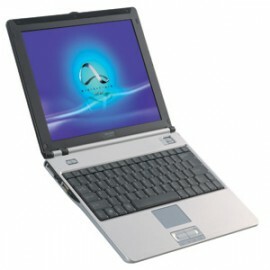 Windows XP Drivers support for Sharp Actius MM20 Notebook PC.